One day, many years ago, a little boy went to the department store with his mother and little brother and had his picture taken with Santa. It was a magical moment. Year s later, he had his own children and took them to a different department store and had their picture taken with Santa. Each Christmas Eve after church he helped them hang their stockings and read them the poem, “‘Twas the Night Before Christmas” They were magical moments. The company he worked for had an annual children’s Christmas party, and he took pictures of the children while they sat on Santa’s lap. His Kiwanis club also hosted a Christmas party for a local day care center, and he took Santa pictures there, as well as at the Senior Center. They were magical moments. This is the thirteenth Christmas that the little boy, now a grandpa with a real beard, will wear the Red Suit. He has already created many magical moments, and is looking forward to many more. 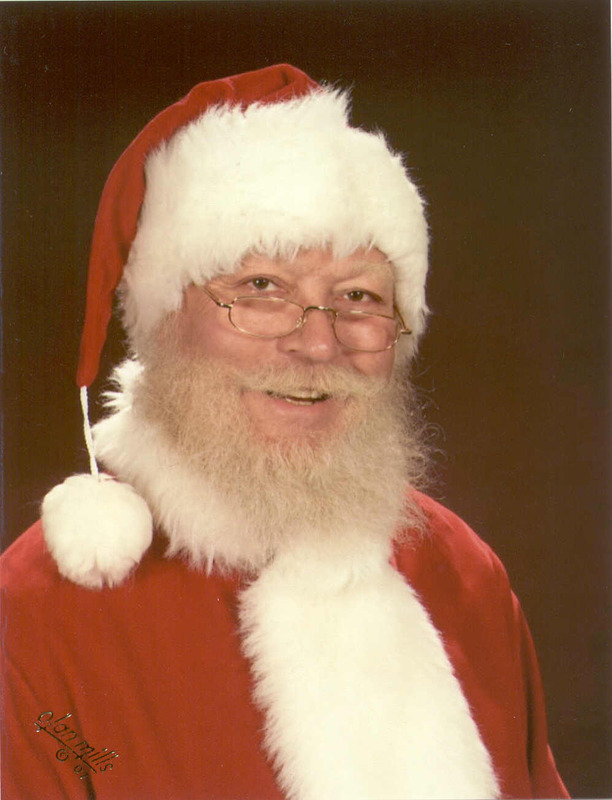 Our Santa holds a Master’s Degree from the International University of Santa Claus, is licensed, insured, has a clear background check, and is a lifelong believer in the magic of all that is Christmas.